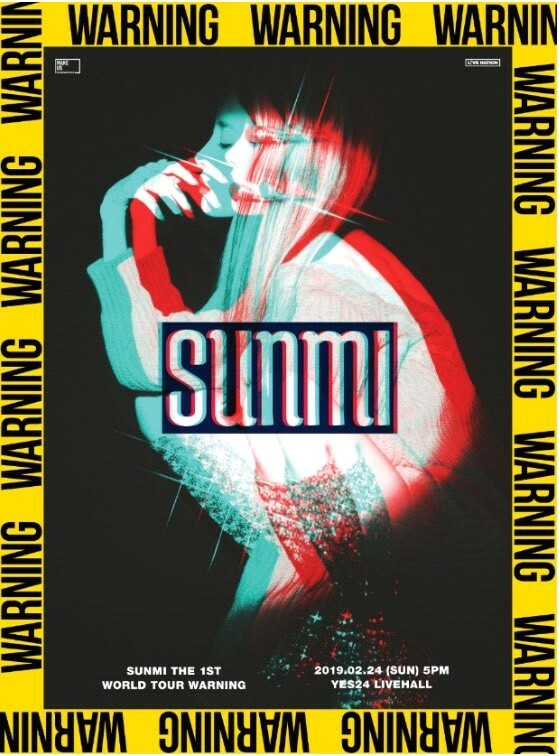 The concert ticket of the singer Sunmi’s world tour ‘WARNING’ was sold out within 5 seconds immediately after it opened. Sunmi has proved her presence as a unique solo artist by selling all tickets of her Seoul Concert of ‘2019 SUNMI THE 1ST WORLD TOUR [WARNING]’ which was opened on the 22nd. Sunmi is starting her big run by holding the Seoul Concert of ‘2019 Sunmi THE 1ST WORLD TOUR [WARNING]’ at YES24 LIVE HALL on February 24. As ‘2019 SUNMI THE 1ST WORLD TOUR [WARNING]’ is first world tour of Sunmi since her debut, together with its announcement, expectations and excitements of the fans over the world gathered and made it an issue. Sunmi, who will be having Seoul Concert as the first city of her world tour, said “I am very excited to meet the fans from all over the world as this is my first world tour ever. I am working hard on the preparation for the concerts so please set you expectations”. Sunmi’s first world tour ‘2019 SUNMI THE 1ST WORLD TOUR [WARNING]’ will start from Seoul and its first announced tour in 8 different cities in North America, including San Francisco, LA, Seattle, Vancouver, Calgary, New York, Toronto, Washington DC, etc., followed by 3 cities in Asia such as Hong Kong, Taipei, and Tokyo. In addition, it is said that the secondary release of the tour schedule will be containing additional areas such as Europe. Meanwhile, Sunmi is holding the Seoul Concert of ‘2019 Sunmi THE 1ST WORLD TOUR [WARNING]’ On February 24.